There are different reasons, including medical, that will cause a cat not to use their litter box, but one of the main reasons a cat won’t use a litter box is because it stinks! A cat’s sense of smell is a lot better than a human’s and almost as powerful as a dog’s. If a litter box is dirty and stinks, your cat will probably find some other place to do its business. One of the ways you can help keep your cat’s litter box safely smelling fresh and clean between cleanings is to use a litter box additive. Some additives can cause harm to your cat’s lungs, but there is one that is environmentally friendly, safe, and that won’t interrupt good litter box habits and behaviors. 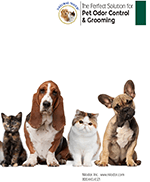 Nilolitter is 100% organic (processed corn-cob) and mixes easily with all types of litter. Nilolitter is packed in a convenient shaker container and is also great for deodorizing trash cans and dumpsters. 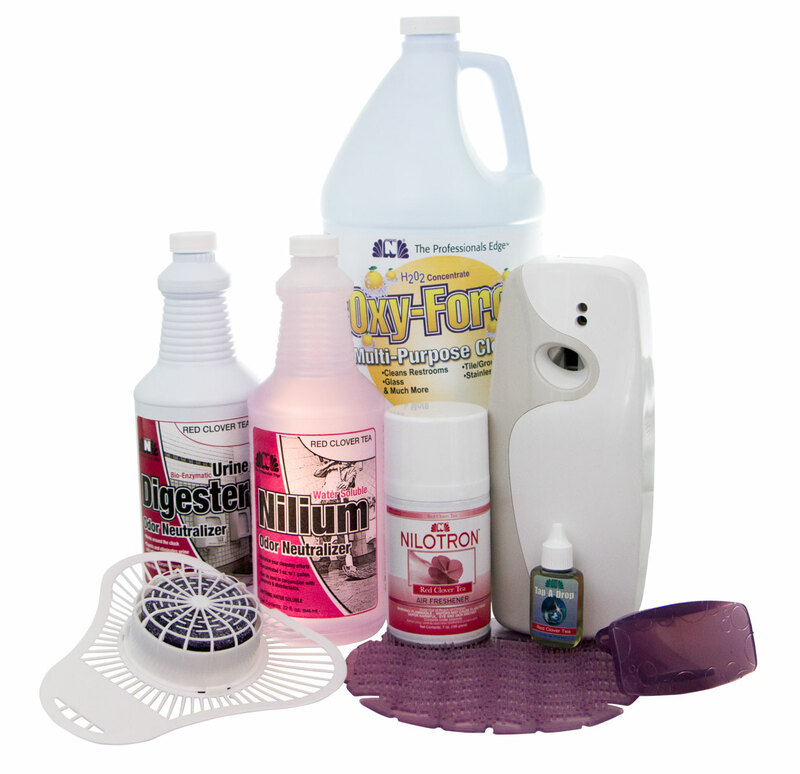 Nilolitter absorbs liquids and deodorizes. Just sprinkle Nilolitter on the litter and you’re ready to go. Here are some reviews written about Nilolitter. “This controls odors better than the other stuff I’ve tried —-and with six cats I”ve tried ’em all! The initial fragrance is a little strong–sort of piney–but it after a day it gets milder. None of the cats seem to mind it. I introduced it in a couple of the litter boxes to see whether they would avoid the fragrance but they used those boxes as much as the others. So I’m using it in all the boxes now. Just a tablespoon in each box is enough. There are a lot of articles that say you can use baking soda to freshen carpet. You can definitely use baking soda to freshen carpet, but at a cost. Baking soda is a harsh abrasive. By using baking soda, you actually shorten the life of your carpet. When you vacuum, only 65-75% of baking soda comes out of the carpet, so all that remaining baking soda cuts the carpet fibers causing irreversible damage. You may save money now, but you will have to replace your carpets sooner. Baking soda cuts your carpet’s fibers. Studies show that with normal vacuuming only 65-75% of baking soda is removed from carpet, compared to 97-98% of Nilofresh™. Nilofresh™ is a safe and economical alternative to baking soda based carpet deodorizes and removes odors caused by smoke, pets, mold, urine, vomit, food, mildew, and more! 97-97% of Nilofresh™ is removed when you vacuum, so your carpets last longer. Nilofresh™ is easy to use. Just sprinkle on your carpet and rugs and then vacuum. The special deodorizing formula in Nilofresh™ Rug and Room Deodorizer has been developed to neutralize odors in carpeting long after vacuuming. It is non-toxic and biodegradable. Nilofresh™ comes in the following great and pleasant scents: original, spring mint, red clover tea, citrus, cucumber melon, and soft linen. This is one of the few products that actually removes the dog and urine smell from the fabrics. 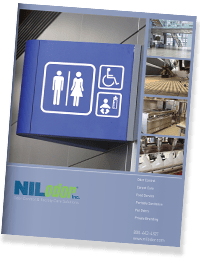 Welcome to Nilodor’s multi-purpose, odor control program for dumpsters, trash rooms, loading docks, compactors trash chutes, recycling areas, and more. Dumpster Cleaning and Deodorizing- Dumpster Wash is a Concentrated all-purpose cleaner with odor neutralizing power. This product is safe, non-toxic, & environmentally friendly. It is concentrated and perfectly diluted through the special applicator spray system. Simply hook up to a water hose, turn the dial to solution spray and begin applying to the inside and outside of dumpsters, to eliminate severe odors and dirt and grease build-up. Your customers will appreciate the odor free, clean, and long-lasting fragrance of this easy-to-use cleaner. 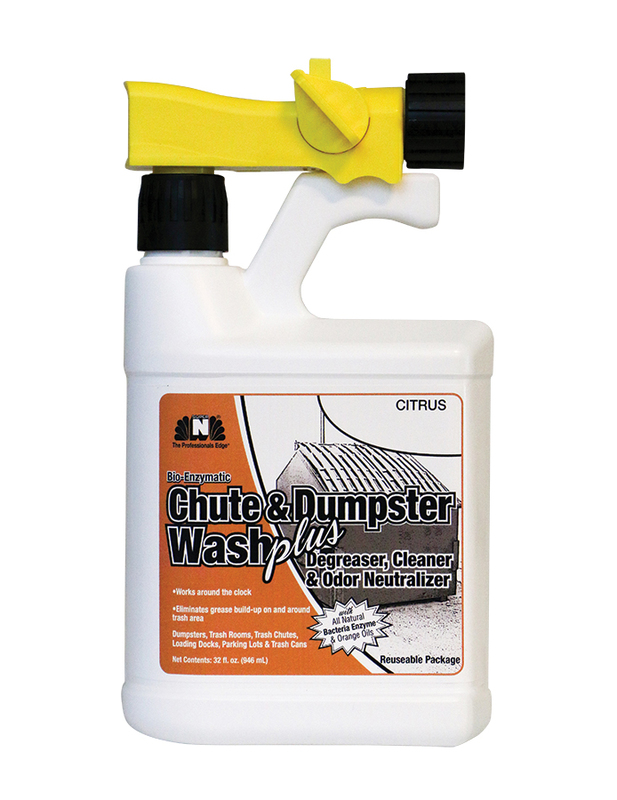 Chute & Dumpster Wash PLUS is a safe, non-toxic, & environmentally friendly, concentrated Bio-Enzymatic cleaner. This product has been formulated with friendly, grease loving, enzyme producing bacteria and citrus oils. Simply hook up to a water hose, turn the dial to solution spray and begin applying to the inside and outside of dumpsters, to eliminate severe odors and dirt and grease build-up. It is great for outside of dumpster & surrounding areas. Extra build-up may require agitation with brush or broom. Turn the dial to water and rinse areas if necessary. Use Nilodew Deodorizing Granules between cleanings. This powerful, natural clay granule is easy to apply, safe and non-toxic. It contains Nilodor’s highly effective odor counteractant and natural pest deterrents. 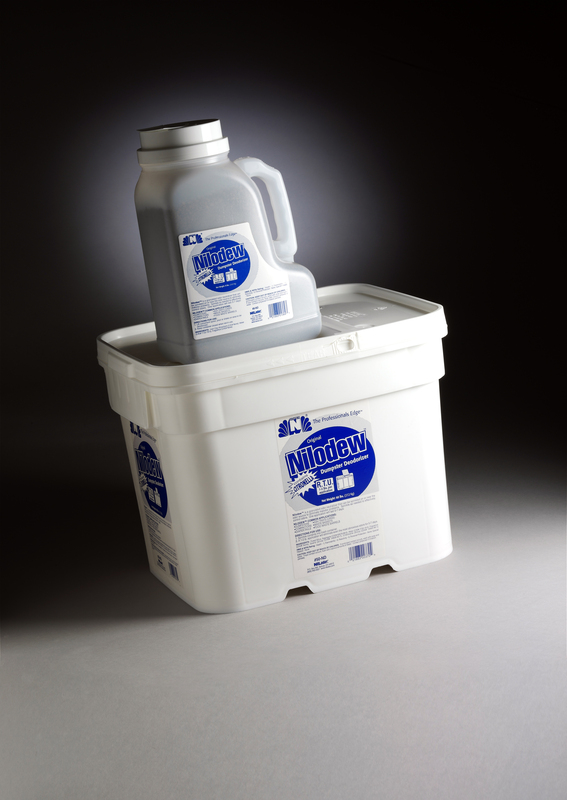 Simply shake or pour 1-2 pounds of Nilodew into an average size dumpster to control odors for up to 7 days. Use Dumpster Wash or Dumpster Wash Plus to clean and deodorize loading docks. A brush may be required for areas with extra build up. Try our new Odor Fighting Super Sock. This Super sock is a great alternative to the hazardous para blocks. Contains the Nilodor concentrated odor neutralizer for effective, long-lasting odor control. Fights odors 24/7 for 30 days and has a convenient loop for hanging. Use the super sock in Sewers, elevator shafts, dumpster rooms, water treatment facilities, garbage collection areas, and fire restoration. 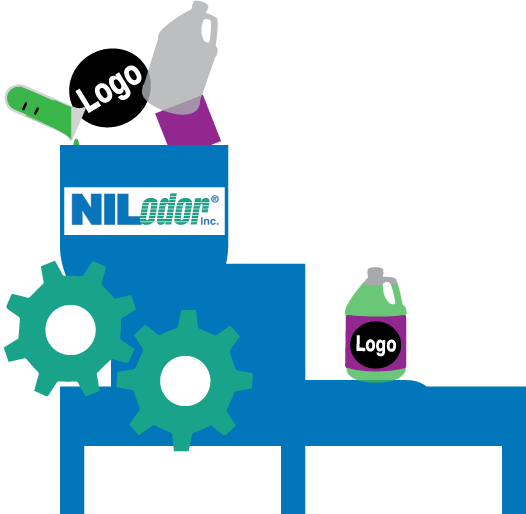 Nilodor’s one-two punch allows you to control and eliminate odor-causing residue often associated with your dumpsters and trash chutes. Chute & Dumpster Wash PLUS is specially formulated with grease loving bacteria, citrus oils and our a proprietary odor concentrate to clean dumpsters and neutralize severe malodors. Nilodew is a clay and Zeolite based granular deodorizer that contains a natural odor absorbent, our proprietary odor neutralizer to fight odors and Citronella to deter flies and other pests. Used to control odors in dumpsters, compactors, ashtrays, waste baskets, etc., for up to seven days. 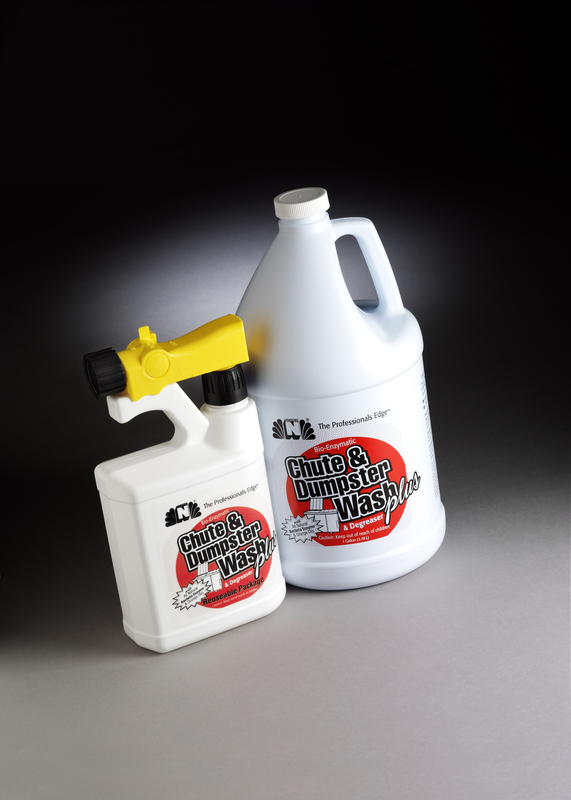 Chute & Dumpster Wash PLUS is specially formulated with friendly bacteria, citrus oils, and our proprietary odor neutralizer to clean, cut grease and counteract severe malodors. Chute & Dumpster Wash PLUS: Spray or pressure wash on walls, inside the container, and over problem areas. Allow 5-10 minutes dwell time. Agitate with a brush if needed. Nilodew: Sprinkle the granulated odor neutralizer on or near the odor source to eliminate your malodor problems long term. 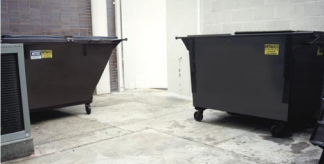 One to two pounds applied to an averagely sized dumpster will effectively neutralize garbage odors for up to 7 days. Nilodew contains Citronella, a natural ingredient which has been proven to deter insects such as flies, bees, mosquitoes, etc. Purchase Nilodew Deodorizing Granules HERE and Chute & Dumpster Wash Plus Here or Purchase them together in a kit Here. You can also call 1.800.443.4321 or find the nearest Nilodor Distributor.